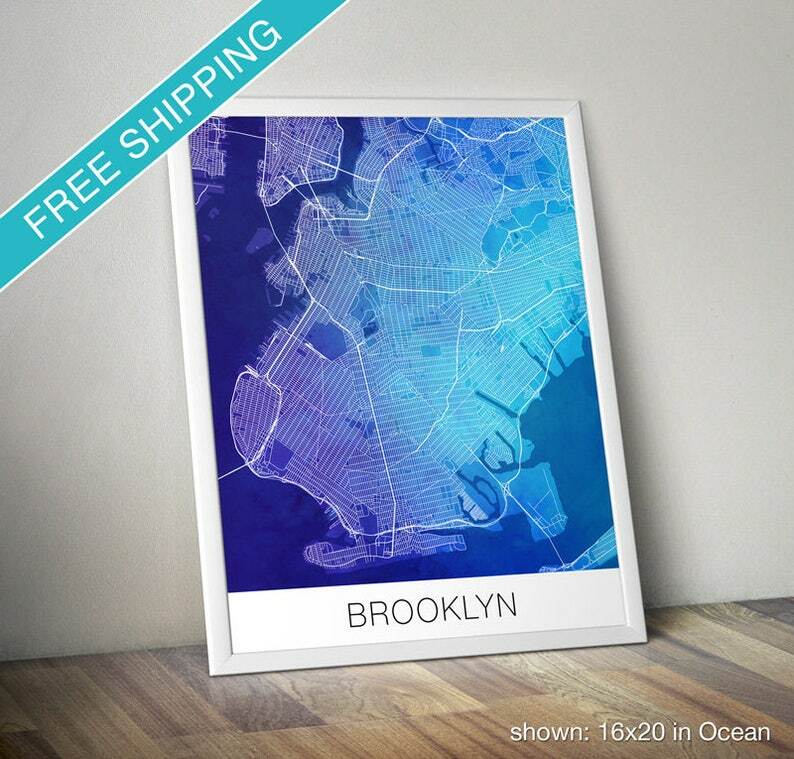 Beautiful print of the street map of Brooklyn, New York, against a vibrant painted watercolor background. The lines of the streets, highways and railways form an intricate web and a modern artwork. Available in a variety of sizes and colors to fit any decor. Framing is also available (for US orders only.) Simply click on the "Size" option to see the frame choices. • Prints ship out within 3 business days. Framed prints ship out in approximately 1 week. Check out the City Maps section in my shop for more maps! © 2017 Miller Sye. Artist retains all reproduction and copyrights.